Benitez, of San Francisco, was allegedly throwing glass bottles near a construction site on the southeast corner of Eighth and Market streets just after 12 p.m., police said. A construction worker flagged down a passing patrol car. When the two veteran sergeants confronted Benitez, a scuffle ensued and the suspect reportedly grabbed a gun belonging to one of them. Police Chief Greg Suhr told reporters the sergeant shouted “‘he’s getting my gun, he’s got my gun, shoot him. 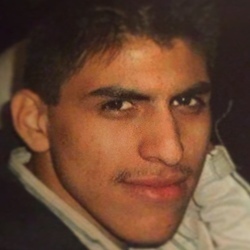 '” Benitez was then shot twice in the torso, which killed him. The Medical Examiner’s Office determined the manner of his death to be homicide. Herbert Benitez and his mother were at San Francisco’s Main Library last Thursday when he left to grab lunch. He never returned. Police shot and killed Benitez, 27, a block away from the library on the south side of Eighth and Market streets. Benitez was fatally shot by a 17-year veteran sergeant after he was reportedly acting erratically, police said. Benitez allegedly got a hold of a sergeant’s handgun, and pointed at his face when he was shot twice by the other sergeant at the scene. At a public meeting held by police inside the Bill Graham Civic Center Auditorium Monday, Police Chief Greg Suhr offered an account of what prompted the two veteran sergeants to engage Benitez. If the incident hadn’t ended the way it did, “we’d have at least a shot or dead police officer,”said Suhr. The names of both sergeants — neither of whom are certified in Crisis Intervention Training — have yet to be released.The police investigation into the shooting has not found any surveillance camera footage that backs up the police department’s account, Suhr said. On December 11, 2017, the San Francisco District Attorney determined that no charges would be filed in the case. The report found that Sgt. Michael Koniaris was acting in another officer's defense, and no charges were warranted.